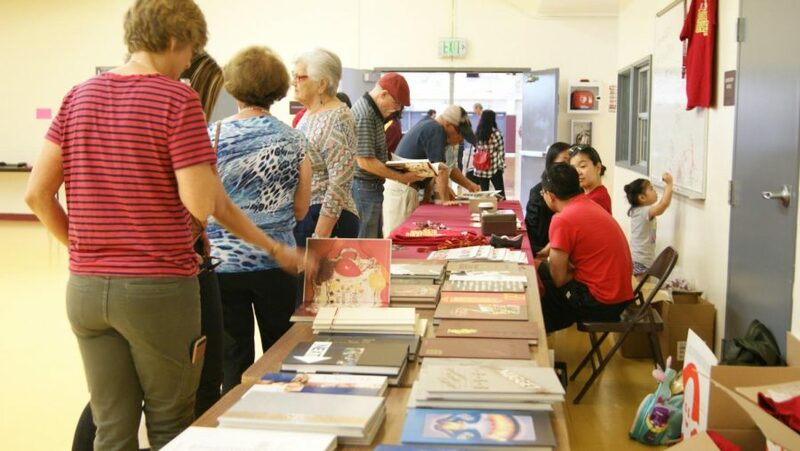 Many alumni and students made their way to Cupertino High School on Sept. 15 to celebrate the school’s 60th anniversary. The celebration included a pep rally with performances from the Golden Spurs Dance Team and the marching band, a welcome speech by principal Kami Tomberlain, guided tours of campus, a gallery of showing the history of the school, a rededication to the Veterans Monument, and a book signing of Cupertino High School: The First 60 Years by ASB advisor Wes Morse. 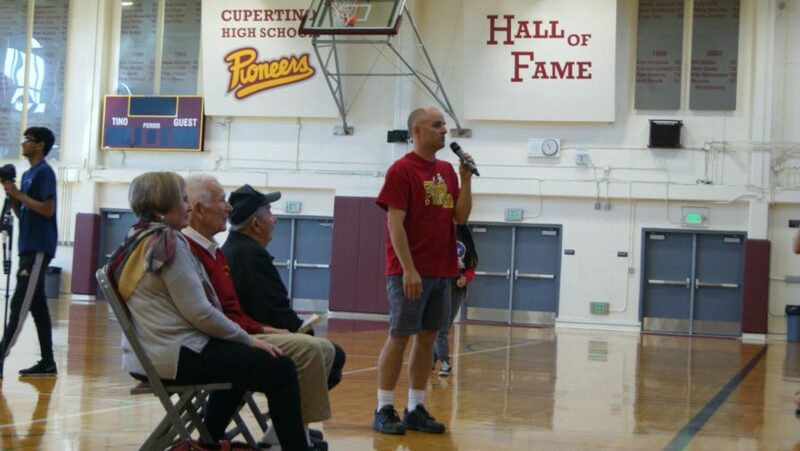 The event did not only serve as a reunion for the alumni, but it also gave current students a glimpse of what Cupertino High School was like decades ago. The alumni reminisced the various incidents that occurred at school: putting a submarine in the pool, stacking tires around the senior flagpole, releasing goldfish into the pool, feuding with Saratoga High School when they squirted the homecoming court with ketchup and mustard. 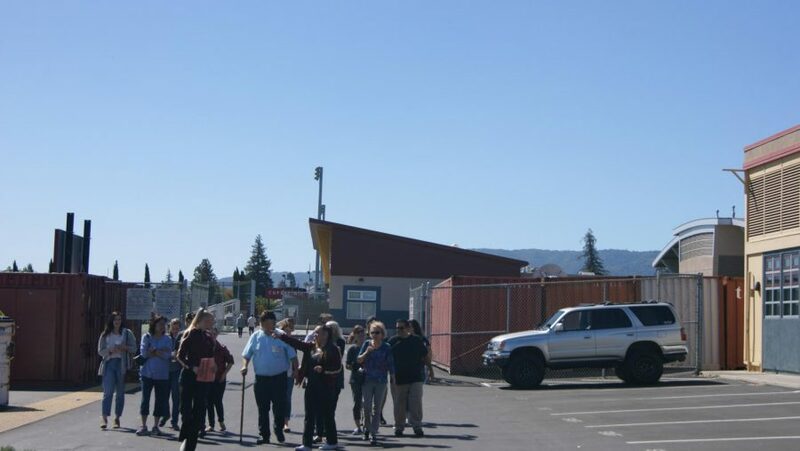 During the guided tours around campus, the alumni were able to see the newly constructed buildings. These buildings reminded Nichelle Dean, graduate from 1987, of the science wing that finished construction in her year. People also shared stories of the first principal George Fernandez. Every day, he would find his car somewhere random on campus: in the middle of the quad, on the football field, in the pool etc. Besides celebrating the past, the alumni noted the many differences on campus. The event was not only significant to the alumni, but it meant a lot to current students as well. Noting the change in mindset from an athletically driven school to an academically driven school, many alumni reminded students to enjoy their high school experience. Along with stories from the past, Cupertino High School: The First 60 years written by ASB director Wes Morse was on display as well. Morse explains that the book is a record of factual information and events that occurred at CHS. At the very end, it lists every single graduate in their class. It goes into detail about the different eras of Cupertino. Morse wishes people should remember good experiences from high school and realize the contributions they made to make CHS what it is today. The CHS anniversary celebration brought graduates and students on campus to celebrate the 60 years since the founding of the school. Serving as a reunion and a first meeting, the celebration left the alumni reminiscing their high school experience and students with advice on how to make the most of what is left of theirs.